A refreshing take on innovative designs, Safavieh's Amsterdam Collection sheds a new light on modern styles. Power loomed with durable polypropylene yarn and styled in spectacular fashion, the Amsterdam rug is chic in look, yet versatile in function. A perfect piece to match any home decor whether in the country side or busy city home. From abstract graphics and pop art florals to refined damasks, Porcello rugs unify design through the ages with bold, vibrant color. To create the texture of fine European and Oriental carpets Porcello rugs are power loomed of enhanced polypropylene. This is a great addition to your home whether in the country side or busy city. 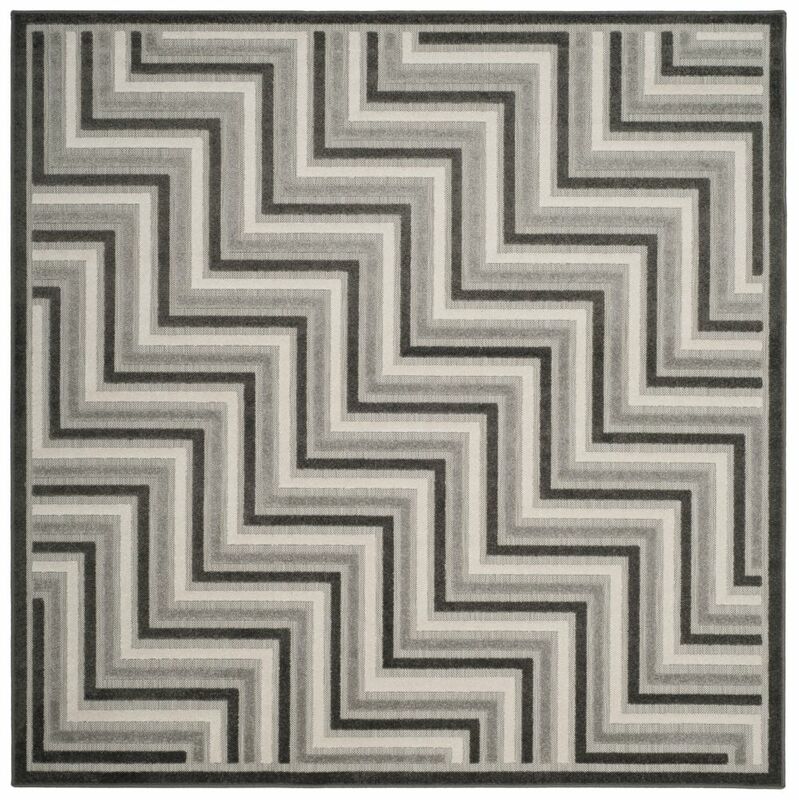 Cottage Norton Dark Grey / Light Grey 6 ft. 7 inch x 6 ft. 7 inch Indoor/Outdoor Square Area Rug Our Cottage Collection takes indoor-outdoor area rug design to new heights of fashion and style. No longer mere, "high-traffic" floor coverings, Cottage rugs blend country-classic motifs and a sensible color palette in incredibly functional and utterly attractive indoor-outdoor carpets. Power loomed using high-quality, durable synthetic fibers, Cottage Collection carpets accentuate and enliven the decor of any high-use area of the home or office. The home designer's first choice in easy-care, weather-resistant area rugs.